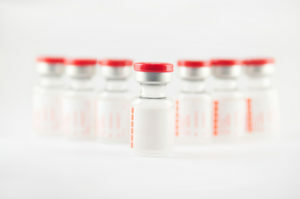 IPOPI is concerned by recent developments in several countries that may restrict access to the most suitable immunoglobulin (IG) therapy for individual patients or force primary immunodeficiency (PID) patients to switch from one IG therapy to another. IPOPI has issued a Position Statement on Access to Immunoglobulin Therapies for PID patients to highlight the importance of ensuring that the most appropriate IG therapy for patients living with a primary immunodeficiency (PID) is selected following a doctor-patient shared decision-making process. IPOPI strongly recommends that national measures mirror the PID community consensus calling for the individualization of IG replacement therapy for PID patients and ensure PID patients can have continuous and equal access to the IG therapy that suits them best. Hospitals, pharmacists an health insurances should provide the widest range possible of safe effective IG therapies, for both intravenous and subcutaneous administration routes, including a choice in dosage and concentration.